Eldreth Pottery Redware Oversized Stein. Fill this 6" mug with an abundance of your favorite beverage. Freeze it for a frosted drink! Beautifully hand-crafted made exclusively for Tom Sturgis Pretzels. Included is two - 24 oz. 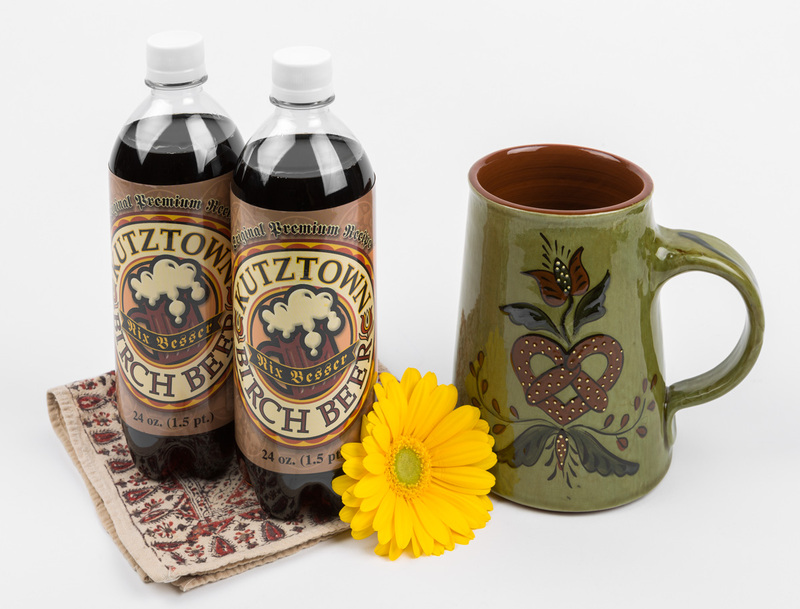 bottles of Birch Beer. Made by hand. Design may be slightly different.